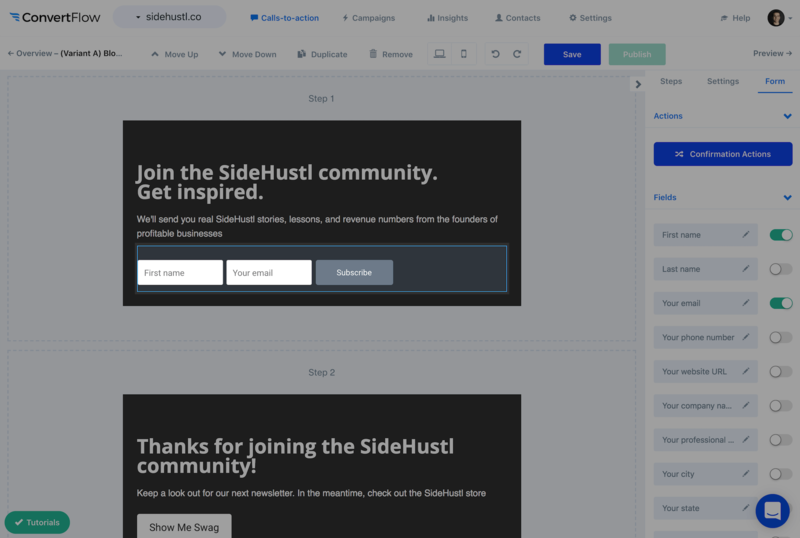 ConvertFlow is the all-in-one platform for converting website visitors, and it's built for marketers using MailChimp. 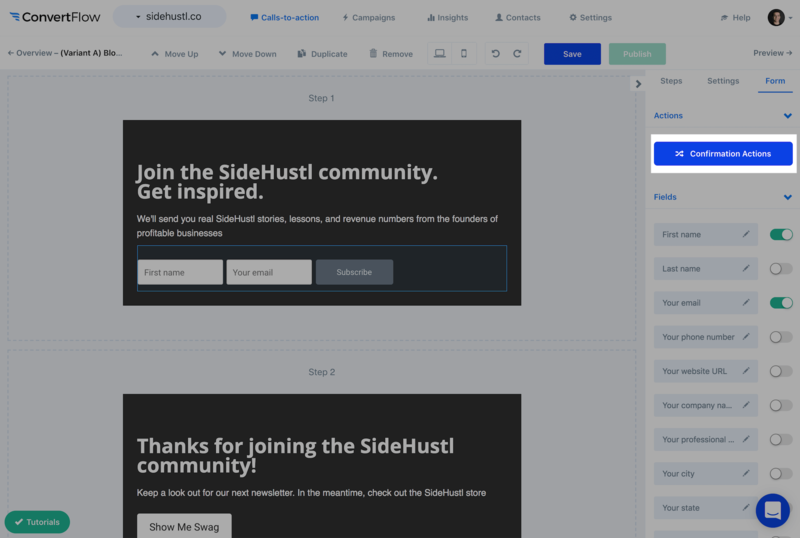 With ConvertFlow's 2-way MailChimp integration, you can unlock the full power of the MailChimp subscriber API, without coding or waiting on developers. 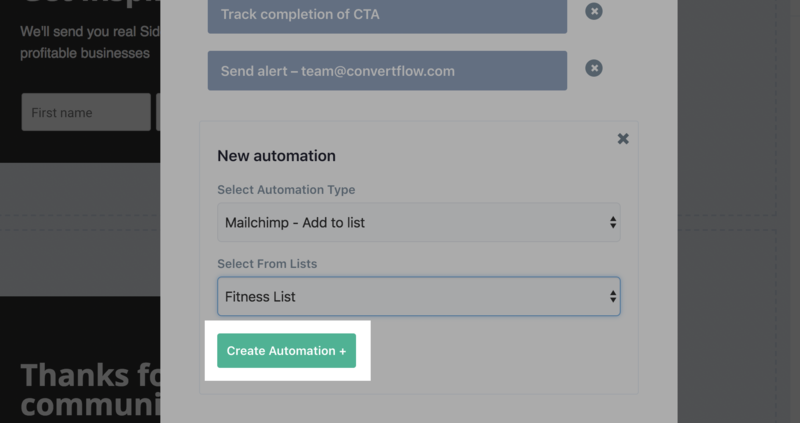 As you build landing pages, funnels, popups, forms, surveys, sticky bars, quizzes etc in ConvertFlow's visual builder, you can add MailChimp automations to your forms, surveys, buttons and conditional logic, to make requests to the MailChimp subscriber API. 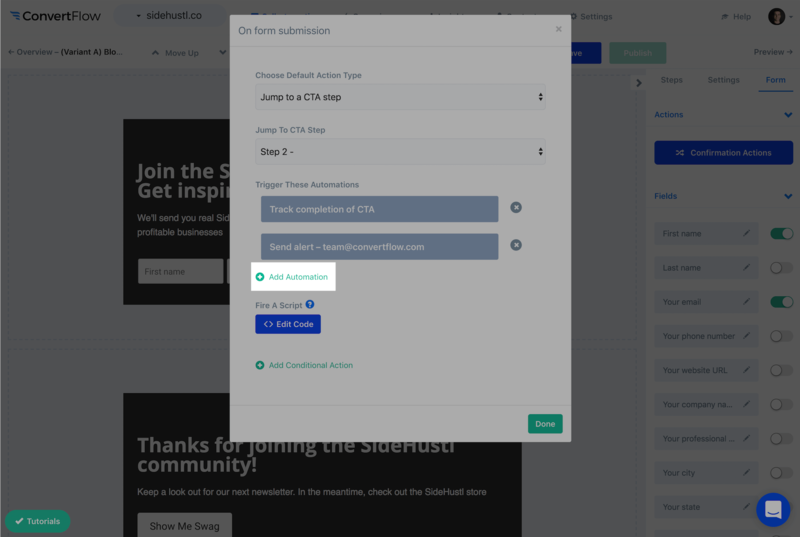 To add a MailChimp automation to a form, survey or button, click on the element in the ConvertFlow visual builder to select it. 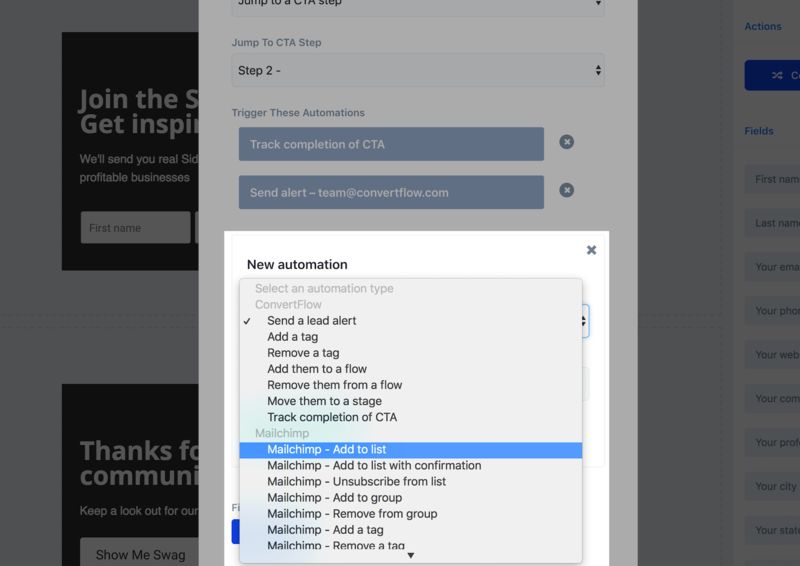 For MailChimp, you'll find these automation types as options in the dropdown. 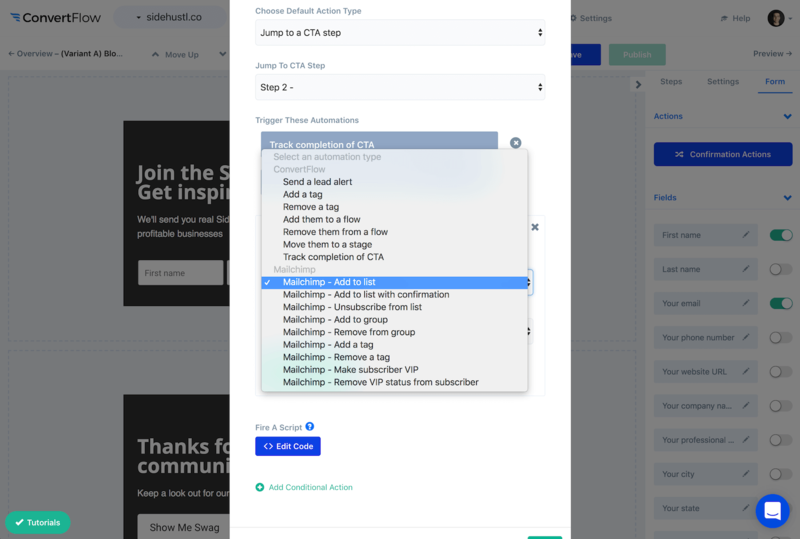 Once you've selected a MailChimp automation type, you'll then be asked for any additional info needed to create the automation.